Shenzhen FLYPRO Aerospace Tech Co. has officially released the XEagle, an unmanned aerial vehicle (UAV) equipped with auto follow and obstacle avoidance functions. Unlike other popular self-flying drone models on the market that are taken off by throwing the aircrafts in the air, which increases the risks of crashing the vehicles, XEagle introduces various features including voice control, smartwatch and automatic obstacle avoiding to offer a better user experience. By liberating both hands, users do not need to have any previous knowledge and experience when handling an XEagle. Designed for recording sports activities, FLYPRO has replaced traditional UAV remote controllers with XWatch for the new XEagle. XWatch is a smartwatch designed to control XEagle that’s portable and easy to navigate — users can control the devices to take off, land and follow, as well as adjust flight height with just one click on the wrist within 300 meters. The smartwatch design enables users to fly the aerial vehicles to take high-definition pictures and videos while engaging in intense sports such as skiing and mountain bike cycling. The voice control feature allows hobbyists to fly the XEagle without moving their hands at all — the built-in intelligent voice recognition system responses fast and accurately to commands in both Chinese and English. Users only need to instruct the XEagle with commands such as “FLYPRO, take off” and “FLYPRO, follow me” to launch the XEagle in the air and have it follow automatically. To lower the risk of crashing the UAV in both takeoff time and during flight, XEagle offers a crash prevention solution by installing four layers of protection. With an infrared obstacle avoidance system and built-in photoelectric sensors, the XEagle can calculate precisely and in real time for obstacles to avoid collisions. The detection is effective when the obstacle is at the distance between 0.1 to 15 meters with relative velocity of 12 meters per second. The UAV can dodge obstacles and barriers while flying in the air by changing its flight path automatically. 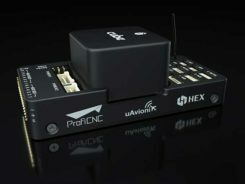 As a newcomer in the UAV market, FLYPRO’s technological breakthrough in developing consumer drones not only resolves the safety concerns customers have with other similar UAVs, but also improves user experience through innovative control measures that makes flying the drones as easy as clicking a button, leading the UAV industry with the company’s user-centered philosophy and high product quality standards. “Now, customers favor UAV products with lower risks associate with operating the aerial vehicles as well as technological innovations that enable users to perform complex tasks without advanced training. When other companies are looking for ways to make UAV products more accessible to the public, FLYPRO has already achieved that with our innovative functions like smart watch control, auto follow and obstacle avoidance that allow everyone to enjoy flying the UAVs for sports and entertainment,” said Lin Hai, founder and CEO of FLYPRO. 4 Comments on "FLYPRO announces smartwatch-controlled XEagle drone"
Why would anybody have a rotary wing drone that had to be tossed up as a launching method? That might be fine for a small child’s toy device costing $14.95, but not for anything more advanced than that. The big question that I pose is about battery life if the whole control package fits into a smart-watch case. Probably the controller battery would discharge before the flight power battery, resulting in a loss of control situation. With GPS on board, though, perhaps it could find it’s way back to the launch point before the flight battery ran down. The battery life of smart watch is about 3 hours. It’s longer than the drone’s battery life. 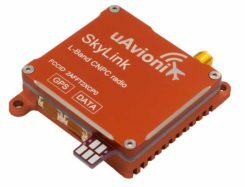 If the signal is lost between the smart watch and drone, the drone can find it’s way back to the launch point. Please give me the email address and your company name . or you may send an email to us .